Cape Cod? East Hampton? 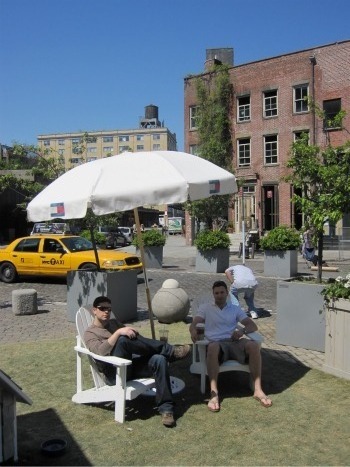 No, it's the Tommy Hilfiger Prep World traveling pop-up shop in Manhattan's meatpacking district. The weather couldn't have been better last Saturday to visit the beach cottage on it's last day in the big city before heading to LA. I first posted about Prep World back in February, time flies! If you aren't familiar, you can read more about Tommy Hilfiger's collaboration with The Official Preppy Handbook and True Prep author Lisa Birnbach at The Preppy Princess. I had seen plenty of pictures online prior to my visit so knew what to expect. 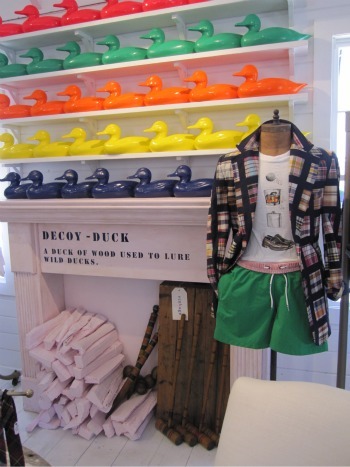 I loved the wall of decoy ducks. There were still "True Prep" details to be discovered. 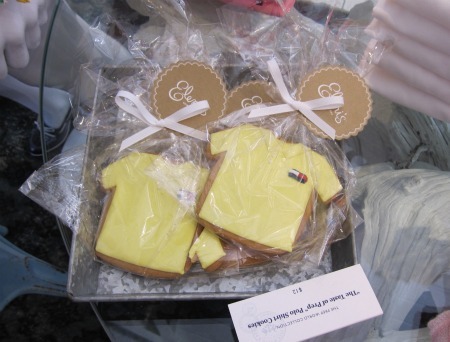 Leave it to me to find the sweets - "The Taste of Prep" Polo Shirt Cookies. Ted and his roommate lounged outside while I browsed the shop. I couldn't leave empty handed! 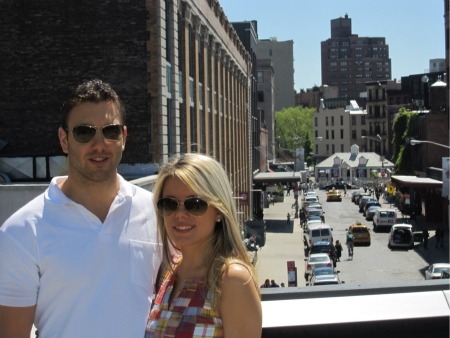 After visiting the shop we went for a stroll on the nearby High Line, a 22-block park built on an elevated rail line. I bought these ice cube trays, which I plan on making Jell-O shots with as suggested by the sales associate. 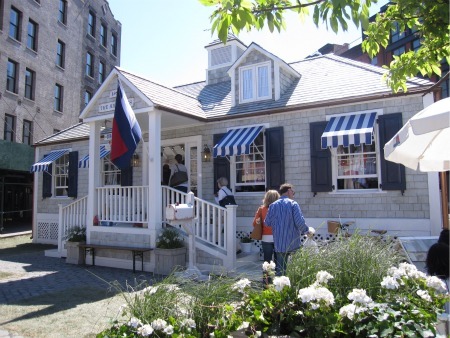 Keep tabs on the Tommy Hilfiger Facebook page to see where the cottage travels next. I was really impressed and glad I had the chance to pop-in! I love how the sales associate mentioned jellos shots!! Oh la la, that shop looks amazing! PS - I'm giving you an award tomorrow on my blog. I'll be traveling tomorrow so figured I'd let ya know today! Um girlfriend! I was EXACTLY where you are standing in the rail/walking path picture -- The Standrard! I was there Monday :) Just missed ya!! Love the ducks! 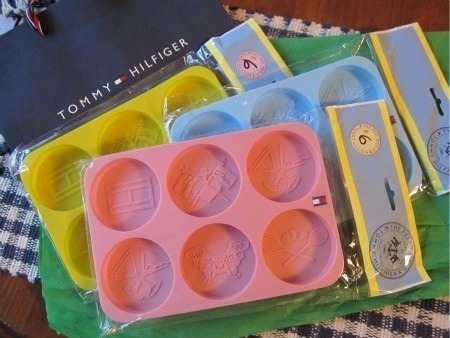 The ice cube trays are super cute. How fun! I was just talking to a friend about the Highline. Such a smart idea, can't wait to go. Do you think they'd let me move in there? It would be Prep heaven! SERIOUSLY? that looks so fun! I'm so pink and green with envy. I wish Prep World could come to Boston! You look so darling in those pictures, love the madras on you! That looks like such a fun place..and yum-- I love Jello shots! How cuuuuute!!! I want to go to Prep World!